Numark, the world’s leading manufacturer of DJ technology, introduces DJ2GO, the world’s first DJ micro-controller. Numark will showcase the DJ2GO at the 2011 Winter NAMM Show in Anaheim, CA, Booth #6400, January 13 – 16, 2011. DJ2GO is a portable, affordable and highly capable DJ controller that allows DJs to control their favorite DJ software with a tactile feel that can’t be matched using a computer mouse and keyboard. DJ2GO weighs just 13 oz. but provides a layout familiar to DJs that includes two platters, a crossfader, pitch and level controls as well as Deck A, Deck B, Master and Headphone gain controls. In addition, users can load and assign tracks to either of the two included deck control sections without ever touching a mouse. Sync and headphone buttons allow the DJ to instantly sync two tracks and monitor either deck section. Included with DJ2GO is a special edition of Virtual DJ software, designed to mate perfectly with the capabilities of the controller, so DJs can pick up DJ2GO and literally start performing on the spot. Because DJ2GO is MIDI-compliant, it can be used easily with virtually any DJ software by simply re-mapping the controls in the applicable application. 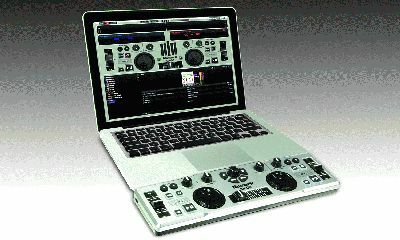 DJs need only to connect the included USB cable to their Mac or PC and install the software to be up and running. DJ2GO will be available from musical instrument and DJ retailers in Q1 2011 with a Manufacturer’s Suggested Retail Price of $79.00 and an estimated street price of $59.95.